The Traveling Tea Friends consisting of a group of bloggers and friends gathered in Berea, KY for a fabulous adventure coordinated by Linda Jennings who writes the Friendship Tea blog. 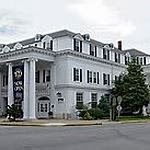 Our lodging for the week was at the stately Boone Tavern Hotel of Berea College, named after the Kentucky explorer Daniel Boone. Of note, Berea College is a working college where approx. 50% of the staff employed at the restaurant and hotel are students. Linda also shared that the beautiful solid wood furnishings in the guests rooms have been built by the students. Our attentive hostess Rachel kept our tea cups full of hot tea. They proudly serve specialty tea sourced from local Kentucky tea business owner Bruce Richardson of Elmwood Inn Fine Teas. We were offered Earl Grey Black Tea with Lavender, the Mayor's Cup a full bodied blend of three single-estate teas from Darjeeling, Assam and the Sri Lankan highlands, or Cherry Rose Green Tea. ﻿The first course began with a sampling of their famous Kentucky Spoonbread plated with a variety of field greens. As described by Rachel, it is similar to cornbread in taste, but is more soufflé-like. A bowl of warm Kentucky Burgoo was served next. This very traditional hearty stew is made with chicken, pork, or whatever game you have on hand along with a good assortment of vegetables in a rich broth which makes a very tasty sampling of true Kentucky fare. Our individual plate of Savories featured Liz's Spicy Pimento Cheese Sandwich, Fancy Deviled Eggs, Mini Hot Browns, and a Tea Biscuit with Country Ham, Apricot Jam and Arugula. Each one very tasty! The three tiered serving tray with Scones and Sweets was presented to a round of oohs and aahs! On the bottom tier: The "Lily" Scone with cranberry and orange zest with triple sec and a triangular Plain Scone. The top tier included Chocolate Bourbon Tartlets, Mini Race Day Bites, and Mini Cupcakes with Mint julep Icing. Double yum! And Decorated Horseshoe Sugar Cookies completed the Derby Day selection. We thoroughly enjoyed our Afternoon Tea at Boone Tavern! Can't you tell!? Angela of Tea With Friends shared her experience here. Linda of Friendship Tea shared her photos and commentary here. Maureen of Tea and Talk shares her photo collection here. 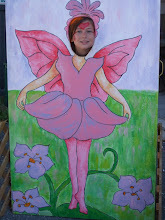 Phyllis of The Relevant Tea Leaf is blogging this week about her journey. Susan Wittig Albert is a talented writer and her China Bayles mystery series, where the sleuth runs a herb shop, are always a pleasure to read. We love the herbal recipes and lore she always includes. Albert's books are always well written but this one A Wilder Rose really spoke to my heart. A fan of Laura Ingalls Wilder from childhood I was eager to read this story of who really wrote the "Little House" books. Starting her research with Rose Wilder Lane's unpublished diaries and letters, this book weaves a tale of fact and fiction of the collaboration between Rose and her mother, Laura Ingalls Wilder. This wonderful story of two strong women is enhanced by Albert's research and attention to detail. She includes historical references both to music that was playing and to the work of other writers of the time. The book also spans multiple eras of work ethics, technological improvements, financial hardship, environmental impacts and politics of war, of the new deal, of the depression all while exploring the nuances of family relationships, the depth of friendships and the journey of Rose Wilder's life. Throughout the book tea is enjoyed on the porch, on the garage roof, at the kitchen table and through tea parties. I enjoyed a few pots of tea with this good read! Not sure about you, but back in the old days, when I came home from school, my afternoon snack was probably a glass of milk and some graham crackers. Well... as they say, times have changed. Living next door to a tea room often provides the opportunity for an upscale afternoon snack. Angelica stopped in after school today and picked up her snack plate full of goodies. The selection varies from day to day - it's always a surprise - but, oh what a treat! Our most recent special event featured an afternoon of Tea and Scones followed by an entertaining program about Tasseography or simply, Tea Leaf Reading. The art of reading tea leaves relies on the interpretation of the leaves that remain in the cup after drinking a cup of tea. 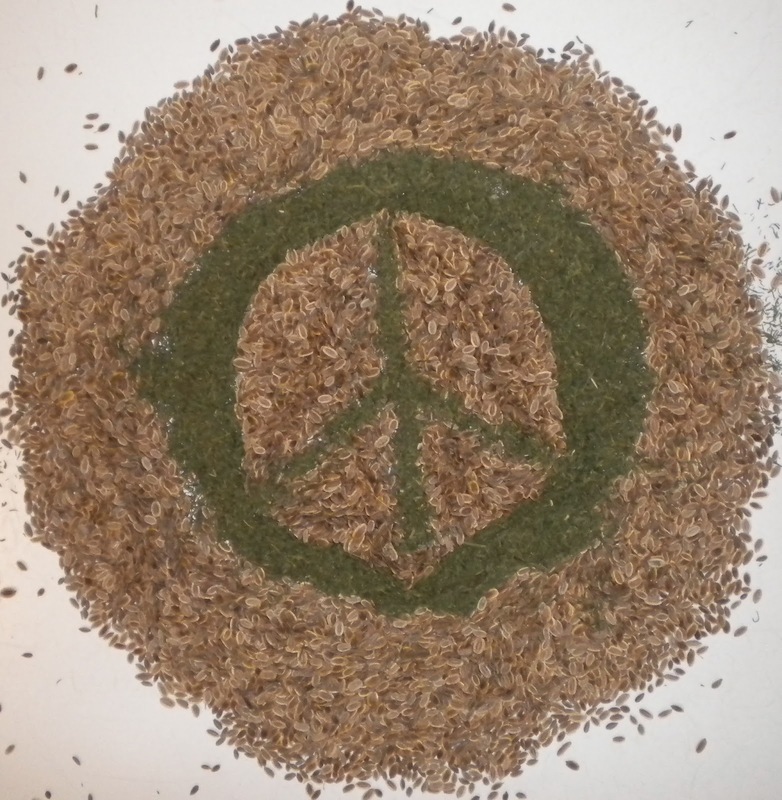 This unique method of telling the future has been utilized throughout the ages with tea leaf reading considered the most popular way to foretell the future for a number of centuries. Tea leaf reading cups and books from my personal collection were on display in the tea room. The Tea Lady, Judy Larkin from West Virginia explained the process and entertained with various superstitions regarding tea. Did you know that spilled tea leaves on a table symbolizes bad luck. And it's also bad luck to stir someone else's tea. What do you see in this cup? It takes imagination and creativity to read tea leaves. The different designs that you discern in the cup are used to tell your fortune. You might see a sailboat that would symbolize a forthcoming journey, or perhaps you see a three leafed clover that would symbolize good luck whereas clouds would infer impending misfortune. For a comprehensive list of symbolism, visit this website. We recognize tea leaf reading all in good jest and playful entertainment. varieties of basil you can fill your garden with it alone—not a bad idea, actually. Lemon basil, lime basil, cinnamon basil, and anise basil have distinct flavors. Dwarf basils, such as boxwood basil or Spicy Globe' basil that have mounded habits and can function as a low hedge or a rounded pot-herb. Purple-leaf basils have, obviously, purple leaves, which makes them a good choice for mixing in a flower border. When to start: Sow when danger of frost has passed. Where to plant: Plant in full sun, in fertile soil. Container growing: Tall varieties require a large, 10-12-inch diameter minimum, pot. Dwarf types will do well in an 8-inch pot. Harvesting: Clip leaves weekly throughout the season to keep plants from developing flowers. Hint: You can rejuvenate tall basil plants by cutting them back by about one-third in mid-season. cool air with plenty of moisture. 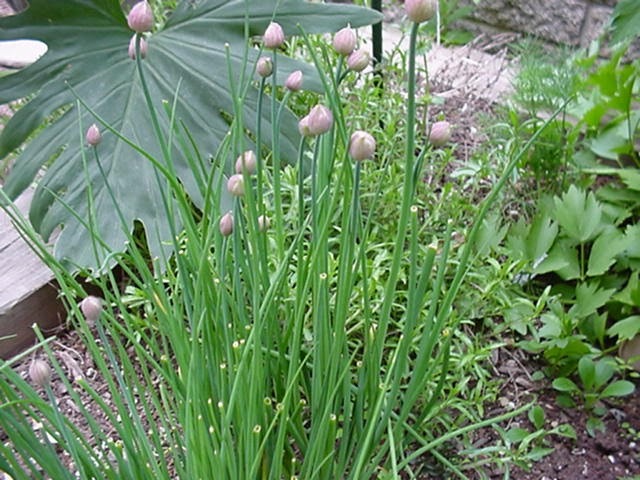 Dill Leaf is often referred to as Dill Weed. Fresh flavors can be enjoyed with fish, potatoes, cucumbers, dips, omelets, and many other foods. And the difference between fresh and dried dill is like night and day! Dill seed is ideal for pickling. It is best sown in the ground, rather than in a container, its flowers make a beautiful addition to the garden. Planting depth: Cover seeds with ¼ inch of soil. Hint: Dill Flowers stand quite tall and add a pretty chartreuse color to the garden, they also attract beneficial insects. you plan to set them out. Use them fresh to liven up salads and dressing, or garnish eggs, soups, and fish. When to start: Sow seeds in early to mid spring indoors and move seedlings outside in late spring, ordirect sow after danger of frost has passed. Where to plant: Plant in full sun in fertile, well-drained soil. Care: Provide consistent moisture until seeds germinate. other herbs, such as sage, rosemary, and thyme, in a large pot. Good drainage is essential. will need some green leaves to renew itself. The Mechanicsburg Earth Day Festival on Sat April 26th features a silent auction of hand painted rain barrels. Each of the local artists put a unique and creative spin on their rain barrel. It's Raining, It's Pouring is by Caromal Colours of Mechanicsburg. Carol Kemery painted and stenciled this lovely barrel. Dream Doodles by Patti Van Brederode. Patti interprets this piece as a mixture of Peter Max, Keith Haring and fairy glitter...bright colors to bring some vibrancy to eco-preservation in your back yard! This untitled rain barrel is by Brownyn Jean Hughes of Brath & Hughes Fine Art Gallery. and finally, Fishes of the Reef is the work of seven Mechanicsburg Area High School, Art IV Students! All of these rain barrels are currently on display in the Simpson Public Library and will be up for silent auction. Bidding begins April 4th and will conclude at 1 p.m. on the Square in Mechanicsburg, PA at the Mechanicsburg Earth Day Festival! We recently took a mini road trip south to Red Lion, PA and enjoyed afternoon tea at the Red Brick Bakery & Tea Room. Located at 55 N. Main Street, this charming little tea room is tucked on the side of the building. You enter this magical little red brick archway to find yourself in a tiny hidden alcove with a sweet wrought iron table and chair set. Once inside, there is a casual tea room atmosphere. We selected our teas from an extensive tea list comprised of a nice variety of teas including plain black teas, decaffeinated teas, herbals, and rooibos. The first course included an oatmeal honey scone with cream and jelly. Piping hot and well seasoned, minestrone was served next. The sandwich platter included a small dish of minted peas, a toasted pear croissant with a sweet cinnamon spread, chicken and asparagus melt, and turkey, avocado, & tomato wrap. And for dessert, a seasonal variety that included a shamrock cookie, pistachio tassie, and a chocolate caramel cupcake. Yum! And here we are - having a good time! We have one in our group that insists 'I don't like tea', so he ordered off the menu and selected the waffles with a side of bacon. His plate was clean! They offer breakfast, lunch, and their bakery items Wednesday thru Saturday. Afternoon Tea is offered Wednesday through Sunday, by reservation. It was a fun excursion! As we march towards St. Patrick's Day with the end of winter approaching and the promise of warmer days, I thought I'd share my collection of shamrock themed teacups. The teacup on the left, with the ruffled cup is crafted by Royal Tara and Made in Ireland. The other two teacups are English Bone Chine, Made in England. The middle cup is Queen Anne while the last teacup is Regency. a day to begin transforming winter's dreams into summer's magic. Cream butter and sugar. Add vanilla. Add flour, blending in the last of it with your hands if necessary. Roll dough 1/2 inch thick and cut into desired shape* using your favorite cookie cutter. Prick cookie all over with the tines of a fork. Place on ungreased cookie sheet and let cookies 'rest' ten minutes before baking. Bake at 275 degrees for 30 - 45 minutes. Watch carefully during the last 15 minutes. Cool thoroughly and store in an airtight container. Yield: approx. 24 - 2" cookies. *Note: We have an adorable set of 3 graduated tea pot shaped cookie cutters for sale online. We also have coffee pot cookie cutters. Visit our online shop, the coffee pot cutters are at the top of the page but please scroll down a little further to find the tea pot cookie cutters. The candy molds are perfect for making your own sugar designs for your next afternoon tea party. They are very easy to make, and will last indefinitely. The Recipe: Blend 2 c. granulated sugar with 4 tsp. water in a bowl. Mix with a fork until it has the consistency of wet sand. Press a small portion of the sugar evenly into each mold. Fill several molds at a time. Pop the sugar out of the mold onto wax paper. They practically fall out of the mold when you turn it over! Let the sugar pieces dry overnight. Pack in an airtight container to have available when you need them. This proportion of sugar to water will yield approx. 120 sugar pieces. If desired, you might want to add a touch of food coloring. These make such a fun and clever addition to the tea table. 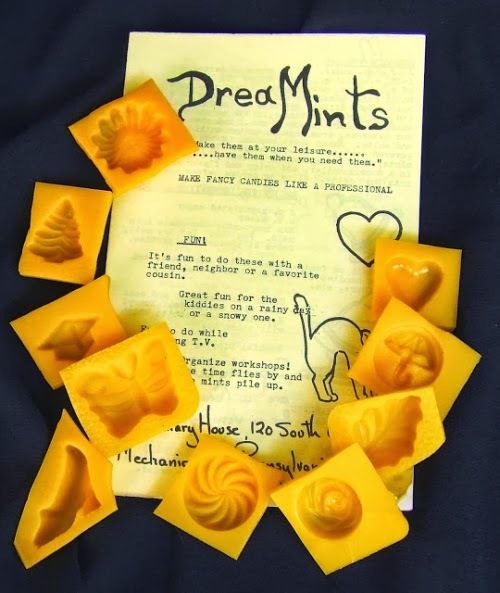 Follow this link and scroll to the bottom of the page to see the assortment of different molds available in the shop or by mail order from The Rosemary House.